CEGA has a worldwide network of known medical providers, held in a centralised platform. This gives us immediate access to providers and suppliers, with the capabilities and resources to enable our experienced case managers and in-house medical teams to make quick and appropriate decisions. This comprehensive knowledge from over 40,000 providers complements CEGA’s 40+ years' experience of providing medical assistance globally across some of the most remote, hostile and challenging environments. Provider standards are monitored throughout the network, with direct visits and audits from our own medical or logistics teams, use of TP in-country agents, questionnaires and follow ups on any complaints or safety issues. 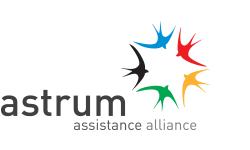 Assistance Alliance - a not for profit joint-venture, established and funded by leading European assistance organisations who have joined forces in a cross-border approach to medical assistance. Members are based in several countries around the world and are proud to set the standards for outstanding quality and innovation, with a shared goal of using their collective expertise to monitor provider and supplier standards and drive significant cost containment savings for clients.